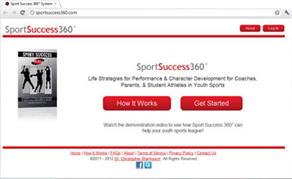 Videos designed to help you master the critical aspects of sport performance enhancement, leadership, and social responsibilities. Offering peak performance video instruction in traditional DVD format or new streaming and digital downloads. 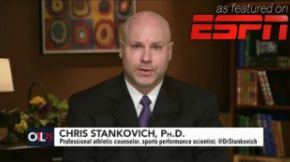 Dr. Chris Stankovich offers a growing line of sport performance videos designed to help athletes, coaches, and entire sport organizations reach their full potential. Learn the latest tips, strategies, and sport psychology research findings to successfully address contemporary and traditional sport issues – on and off the field. Our new video streaming options allow you to watch videos on your phone, tablet, or computer — allowing athletes the convenience of ongoing training on the way to the field or moments before a game. Don’t let the competition pass you by, make your success happen by adding mental toughness training to your personal arsenal.